If you are in Mexico for personal reasons: study, travel, work or other, and you met your great love in this dream destination, we know what to do for a French-Mexican wedding that you would enjoy. Because actually every country has its culture, and its particularity when preparing a wedding event. Here are some tips to prepare it if you want to get married in Mexico. To formalize your union with your other half in Mexico, it should be noted that marriage is possible either in France or Mexico. 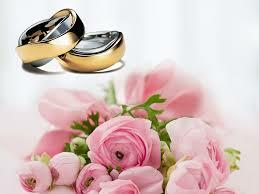 However, a marriage in this country is more affordable and you will have the opportunity to make a big party. You just need a marriage visa which costs around 90 euros, or if you are a student, you can also present your student visa. For the party, you can combine the two cultures by choosing Mariachis and also do things from and ordinary party in France or whichever country you are from. On the administrative side, there are documents to take care of in France before you go to Mexico to join your future spouse.If your document is a birth certificate, make sure to make 3 copies. These documents must be updated, that is to say with validity less than 3 months. If you do not have time to go to the town hall, you can apply hereAlso note that these documents must be translated into Spanish for a civil wedding in Mexico. You will also need your passport and identity card. As for ordinary weddings, you will need to be present when you’re getting married in Mexico. You should also bring documentation of your future husband/wife to complete the ceremony. You can use birth certificates, identity cards, etc. And to top it off, you must bring the document certifying your migration law, the payment receipt of the marriage certificate which costs about 100 pesos, not to mention marriage license document. These details vary depending on the case, but you will need to take care of them when the time comes.